In fact, the combined action of light and water - referred to as HydroPhotonic™ - cuts through tissues and selectively cleans cavities. The highly accurate laser energy instantly vaporizes tissues without heating the tooth, thus making it painless. At no time does the instrument come into contact with the tooth. As a result, there are no unpleasant vibrations which could produce enamel cracking. Furthermore, the dental surface treated by the laser is sterilized up to 0.4 mm in depth, which is a perfect surface for composite filling adhesion. The prime advantage for patients is bio-stimulation, which helps the healing process. Also, in most cases, no anesthesia is necessary. 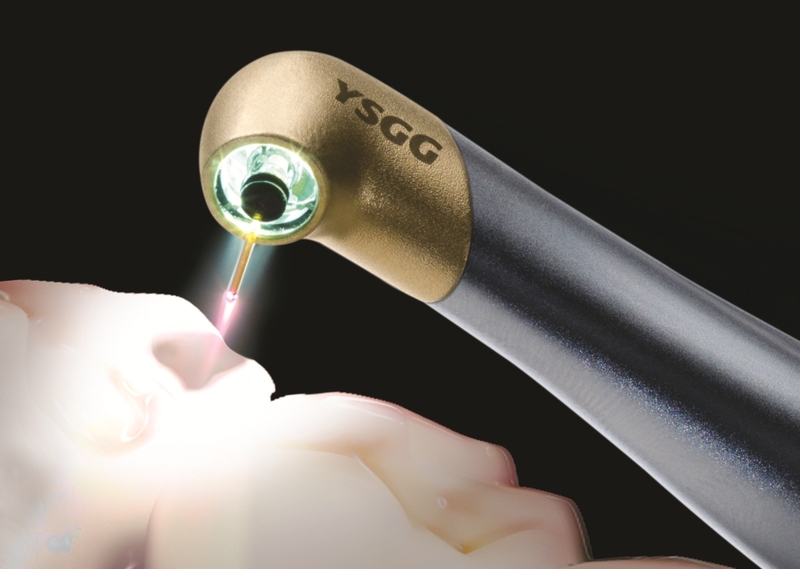 With dental laser, dentists are no longer feared!